Revision of Grade Pay of LDC to Rs. 2400/ and that of UDC to Rs. 2800/-request for your personal intervention for getting a favorable decision. New Delhi - 110 027. Sub: Revision of Grade Pay of LDC to Rs. 2400/ and that of UDC to Rs. 2800/-request for your personal intervention for getting a favorable decision. At the outset I would like to introduce me as TKR Pillai, General Secretary, All India Association of Administrative Staff (Non Gazetted), Ministry of Statistics & Programme Implementation, Government of India. This Association had written a letter to the Hon’ble Prime Minister to apprise him of the pathetic conditions of LDC & UDC working in the Central Government Offices and request his office’s intervention on the matter (Copy enclosed in annexure 2 to VIII). While taking action on the said letter DoPT has identified the LDC/UDC issue as anomaly and the case has been sent to JCA for action (copy enclosed in annexure I). Earlier, the matter was raised in the National Executive Meeting of the Confederation of Central Government Employees and Workers by the undersigned and according to a decision taken in the meeting Shri S.K. Vyas, President Confederation and Member National JCM & NAC had put up the item in the National Anomaly Committee. Unfortunately, this most important issue has not been taken up for discussion in the forum so far. 1. Why the LDC & UDC case become anomaly? Sixth Pay Commission has denied an appropriate pay structure to the LDC & UDC of Government of India Offices in the light of raising the academic and technical qualification and responsibilities assigned. The officials in these cadres are initiating the official work and made responsible for smooth functioning of the offices, have been granted a simple replacement grade pays. In fact the Grade Pay granted to the post of LDC is only Rs.1900 which is just Rs.100 more than the grade pay of MTS, i.e. Rs.1800/-. In the mean time the academic & technical qualifications to get selected to the post of LDC have been raised. On the other hand, the Pay Commission has recommended the merger of various group D posts and upgraded their grade pay from Rs. 1400 to Rs.1800 and also given them additional benefit of 3 MACPs to the merged posts. Moreover, all the pre-revised pay scales above UDC -from Accountant to Assistant Administrative Officer- have been merged and granted Rs. 4200 -4600 grade pay. As per the Staff Selection Commission notification Lower Division Clerks are entrusted with routine nature of work, for example registration of Dak, maintenance of section diary, file register, file movement register, indexing and recording of files, typing, comparing, dispatch, preparation of arrears and other statements etc. Whereas in practice, most of the Non CSCS office (where total staff strength is not more than 100) has been allocated with average one Administrative Officer, 1-2 Assistants, two UDC and 3 to 4 LDC. (A) And in a normal Non CSCS office, it has 5-6 major sections which could only be allocated to UDC & above as per the DoPT guide lines, viz. (iv) Bill Section, where various kind Bills have been scrutinized for passing etc. (v) RTI, Court Cases, handling of Audit Para etc. (B) In addition there are other sections viz. (i)Accounts/Cash Section-II(to Assist the Accounts Section I in discharging their day to day duties, disbursement of cash and maintenance of related registers, cheque books, postage stamps etc), (ii)Dispatch & Diary, (iii)loans & Advance, (iv)typing, maintenance of library, file register, file movement register, indexing and recording of files, comparing, preparation of arrears and other statements etc. Since the number of UDCs sanctioned is much lesser than the actual requirement, LDCs are posted in the major section as given under ‘A’ above. Thus in contrary to the nature of duties of LDC as given in the DoPT manual as well as the Staff Selection notification the quality and quantity of work done by the LDC & UDCs are much higher in these offices. The officers are only taking decision on the file put up by the LDCs/UDC on all the matters. In accordance with the recommendation of 6th Pay Commission, Government India has raised the academic qualification from Matriculation to 12th class pass or equivalent and technical qualification of typing from manual typewriter to sophisticated computer for getting selected to the post of LDC through Staff Selection Commission. It is to be noted that typing on computer is far different from the typing on typewriter because for typing on computer one should have the knowledge of the operation of computer for which one required to undergo a computer diploma programme. The academic qualifications required for both LDC & DEO are the same i.e. 12th class pass or equivalent. As regards the technical qualification the candidate appearing for the post of LDC requires 10500 KDPH/9000 KDPH English and Hindi typing respectively on computer whereas the candidate appearing the DEO requires 8,000 KDPH on Computer. But the grade pay granted/fixed for the post of LDC is 1900 and the same for DEO is 2400. Moreover, the DEO has only to entry the readymade data given to them whereas the LDCs have to create data/draft letters and then to type on computer, putting up the matter through file note with justification with the support of rules and procedure. Thus LDC does more work in qualitatively and quantitative terms with less grade pay than that of the DEO. Even though the raising of academic qualification of MTS from 8th Standard to Matriculation, duties prescribed for the earlier Group D and the present MTS are the same. Whereas the academic & technical qualification of the LDC have been upgraded and assigned heavy responsibilities on them by the office concerned. Majority of the persons selected for the post are graduates and even post graduates and qualified to handle any kind of assignment. The job profile of the post has undergone significant changes after introduction of modernization in Government offices. Now, computers have taken the place of typewriters. During the 5th Pay Commission, pay scale S-1 to S-4 were granted to the group D posts and pay scale S-5 was granted to LDC i.e. one step above than the pay scale of the Group D posts which never crossed over the pay scale of LDC. In the 6th Pay Commission the pay band of MTS (formerly group D), LDC & UDC are same and Grade pay of LDC is 1900/ and that of MTS through MACP is 2400/. 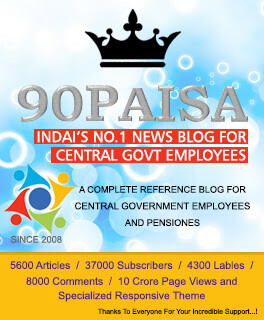 Meanwhile, various web sites which are exclusively publish the issues of the Government Employees’ have given enormous support on the upgradation of the grade pay of the LDC & UDC and published all important correspondence in this connection. Hundreds of LDC and UDCs and other central Government employees registered their comments in support of the issue in these web sites. Rajasthan government had set up Shri Govind Sharma committee to study the upgradation of the grade pay of LDC & UDC. Following a very positive recommendation from the Committee the Rajasthan Government has raised the grade pay of LDC and UDC from the Rs. 1900 & 2400 to 2400 and 2,800 respectively. Also the names of posts 'Lower Division Clerk' and 'Upper Division Clerk’ have been changed as ‘Clerk grade-II' and 'Clerk grade-I' respectively. Similarly, the Punjab, Himachal Pradesh and Haryana Government have reportedly upgraded the grade pay of LDC & UDC. Sir, while taking up this issue, I have got tremendous response from LDC UDC as well as other sections of the various central Government Departments including Railways and Defense. Dozens of phone calls, e-mail and letter through post are being received on daily basis in support of the demand. Each and every one who has written me had emphasized that Government of India Offices especially the subordinate offices are functioning smoothly virtually due to the fact that LDCs & UDCs are shouldering heavy responsibilities. But the Pay Commission has not considered equal pay for the work done by them. This has been a demoralizing effect on the already desperate young and talented cadre in the Government offices. From the above it is evident that the upgradation of the grade pay of LDC & UDCs is a genuine issue. We, therefore, justifiably request you to put a case for revision of Grade Pay of LDC to Rs. 2400/ and that of UDC to Rs. 2800/. It is to be noted that cases of several cadres in the Administrative branch were considered and favorable decision was taken by the 6th CPC but the case of LDC & UDC were left out. The LDC and the UDC also deserve higher grade pays than the present one, to commensurate with the qualifications and assignments attached to these posts after the implementation of the recommendations of the 6th Pay Commission. I conclude this letter with two comments among the hundreds of comments written in favour on various web sites as follows. (1) “Whether letter sent to the DOPT regarding the upgradation of grade pay of LDC and UDC will be considered or not. We are poor LDC and UDC. Nobody has time to understand us. Everybody tries to have best of comforts, income and all other facilities to the higher class of employees. The lower levels of employees are doing hard works. Among them there will be graduates and postgraduates along with few numbers of SSLC or Plus Two or pre-degree qualified. But whatever may be the qualification of the higher class, whether SSLC or PDC or Plus Two, there is no problem. Everybody will get enough. But in the case of LDC and UDC they have to suffer a lot- A lot of financial burden. Try to make awareness among the high powered DOPT about our problems”. In view of the above, we seek your kind personal intervention for getting a favorable decision to revise the GP at Rs. 2400/ and 2800/ respectively to LDC & UDC. Mr.T.K.R.Pillai several times brought Actual Facts related to sufferings of Lakhs of LDC & UDCs working in All Central Govt.Offices. Due to implementation of 6 CPC, the worst sufferers are LDC & UDCs. In addition MACP further worsened. So the JCM Must take up the Matter with Govt. regarding change of Grade Pay whereas some State Govts. have changed Grade Pay of LDC & UDCs. It is a Great insult to the Central Govt. LDC & UDCs. Thanks a lot. You have put forward elaborated facts to the authorities for justifying of our demand for upgrading the GP of LDCs & UDCs working in the subordinate offices of the Ministries. Our demand is a genuine one. The DoPT has also well known all these facts. But they are ignoring them while implementing the CPC recommendations. Actually the Pay Commission constituted for the revision of Pay of Central Govt. Employees studying the cases at the Ministerial level only and not even doing a single visit to Sub-ordinate offices of the Ministries for studying the matter. It is our experience that after implementing the CPC recommendations the Ministry further amendmenting it for giving more benefit to the Central Secretariat Staff by ignoring the staff working in the subordinate offices of the Ministries. The RR is common for all but the duties and responsibilities are more for the staff working in the subordinate offices than the Ministries. You go ahead, Sir, we are all behind you. (Clerk & Graduate Clerk instead of LDC-UDC with grade Pay-2400-2800).